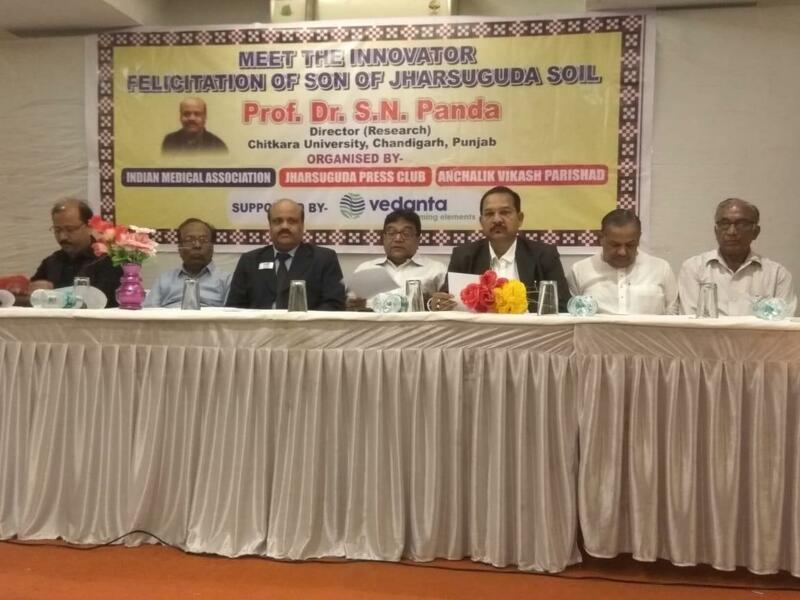 In an event jointly organized by Indian Medical Association, Jharsuguda Press Club and Anchalik Vikash Parishad, and supported by Vedanta, Prof. Dr SN Panda, Director Research, Chitkara University Research & Innovation Network (CURIN), was felicitated for his Innovations and Research contributions, especially PICU (Potable Intensive Care Unit), at his alma mater Town High School, Odisha. The felicitation ceremony to honour Dr. Panda was attended by around 50 doctors and 150 eminent personalities. Recognizing the path-breaking, excellent work in Research at Chitkara University, CEO of Vedanta Ltd offered to collaborate with the University during the event.